Description: TSAL159 - Solemn Pup can be a bargain off of marble statues wholesale, where these humble California statues come in all sizes and rates. Get one of these hand carved marble fixtures today. They aren’t just animal statues, if that’s what you think this sculpture is. No, they mean companionship, and as friendly fixtures, any one of these marble dog statues are worthy of a place as a lawn statuary or as statues for garden. 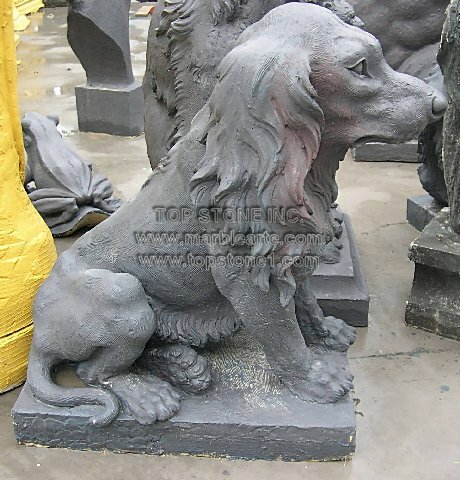 Invest in one of these dog garden statues from statues for sale outlet and let your furry friends find solace in their solid marble likeness.